Governor Nasir El Rufai has threatened to invoke 1915, 1917 and 1958 laws to deal with the recurring crises in Kaduna state. 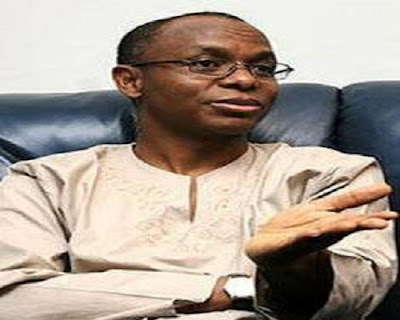 At a meeting with Traditional rulers at the government house in Kaduna, governor El Rufai warned that various existing laws that impose costs on communities that permit violence in their midst would be implemented. The laws to be invoked by the governor are the Riots Damage Laws of 1958; the Collective Damage Law of 1915 and the Peace Preservation Law of 1917. The governor said details of the enforcement of these laws which impose on community members to bear the cost of repairs of damage arising from crises will be unveiled soon. “These laws impose on communities that permit violence in their midsts, obliging community members to be charged and levied monies for the costs of repairing damage done during episodes of violence” the governor said. He warned that government will no longer accept excuses from traditional rulers when crises erupt in their domains. “In situations of unrests, it is common for traditional rulers to disclaim any control over unruly youths. It is an excuse we can no longer accept. Where significant sections of a community disdain the counsel or authority of their traditional ruler, it imperils the rationale for keeping the traditional institution and the occupant of the office “, he argued. He said more police stations will be established in identified Flashpoints in the state.